I would like to take this opportunity to thank the citizens of our community for their valued support of the Henry County Sheriff's Office. It is my hope that through this informational website, the community and others will learn more about the Henry County Sheriff's Office and the services which we provide. The employees of the Henry County Sheriff's Office are committed to the highest standards of professionalism and service on behalf of the community we service. The Sheriff's Office overall manpower and resources have been carefully reviewed and aligned to insure effective law enforcement services are provided to the citizens of Henry County. I am very proud of the Sheriff's Office employees for their dedication and concern for the community. 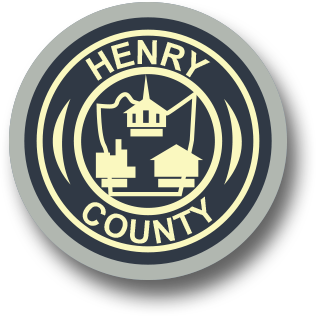 It is the mission of the Henry County Sheriff's Office to effectively perform all lawful duties in a professional and reliable manner to insure the safety of the citizens of the County of Henry. The Henry County Sheriff's Office is committed to enforce the laws of the United States of America, the Commonwealth of Virginia and the County of Henry. A community oriented policing philosophy enables the community to unite in a partnership to achieve the common goal of enhancing the quality of life in Henry County.